Most students are unaware of the wide variety of career options in health care. 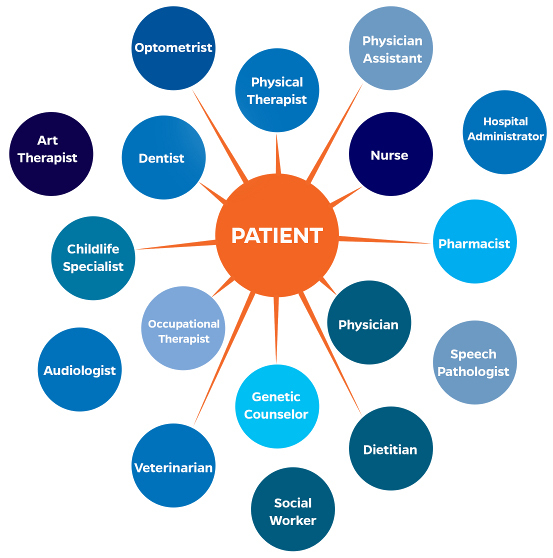 Patient care involves contributions from professionals with a wide variety of specialties that work together as a team. You should take time to explore the careers that are available to you, and find the one that is the best fit with your strengths, goals, and interests. On Pre-Health Essentials we provide links to information on a wide variety of health related careers. After reviewing information online, plan to shadow professionals in your careers of interest to get a first-hand look at what the profession is like on a day to day basis. What tasks do I envision doing with patients? How long do I want to be in school? How many hours per week do I want to work? Do I want to work under the supervision of another professional or on my own? Am I comfortable with making difficult decisions?